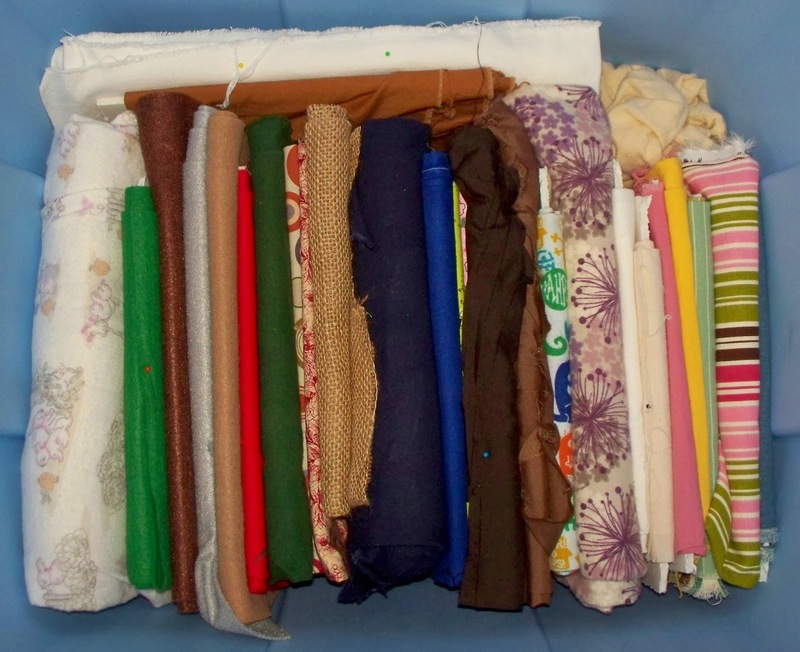 As any person who sews knows, a fabric stash can grow very quickly. Before I was pregnant, Jason and I had decided to turn our second bedroom into an official craft and work space. While I was busy planning out the look of the room, I knew I had to do something with my fabric. Fabric always looks so nice at fabric stores because it's stored on bolts. So I scoured the internet and figured out how to make bolts, on a smaller scale, for use in my own home. I had a request to share a tutorial for making fabric bolts, so here it is! I hope this helps all of you to conquer the mountains of fabric in your own home. Measure and draw a line length-wise in the center of the foam board. Each piece should be ten inches high. Next, measure the foam width-wise. For the fabric bolts I made years ago, apparently, I made them all eight inches wide. If you do it that way, you will have two tiny fabric bolts in comparison to the others. For this set of bolts I made, I made them ten inches wide, so the bolts were square and even, and none of the foam board went to waste. Alternatively, you can make the bolts all six inches wide and get more bolts from one piece of foam board. 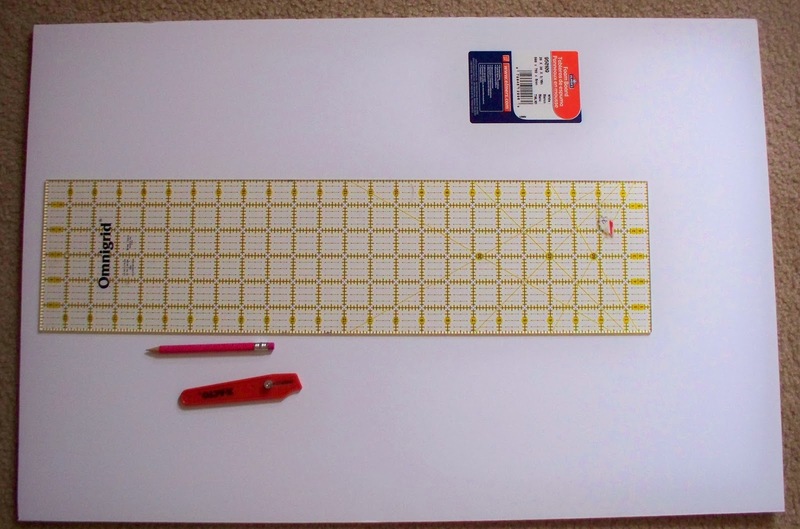 Once the measuring and line-drawing is complete, cut the board in half with the X-acto knife. Then, cut each piece out individually with the knife. This is a quick process. Once the boards are cut, you can begin to wrap your fabric around the bolts. The smaller the piece of fabric, the neater the board will look, especially if your fabric piece is felt. I've wrapped up to four yards of flannel on one fabric bolt and it worked fantastically. Felt, on the other hand, doesn't wrap as well. As a side but important note, I do not ever use fabric bolts to store fleece, unless I've bought an entire bolt from a fabric store, which I have done, then I store the fabric on its original bolt that came from the store in our craft closet. Fleece stores easily on its own, I find, and my fleece fabric is in a separate tote. This tote, pictured below, houses all of my felt and other fabric. This is just the bottom layer of the tote. There are many other bolts that go on top of this bottom layer. It takes me about ten minutes to make six fabric bolts from one piece of foam board. The foam board costs $3, but please don't ever buy something at full price. 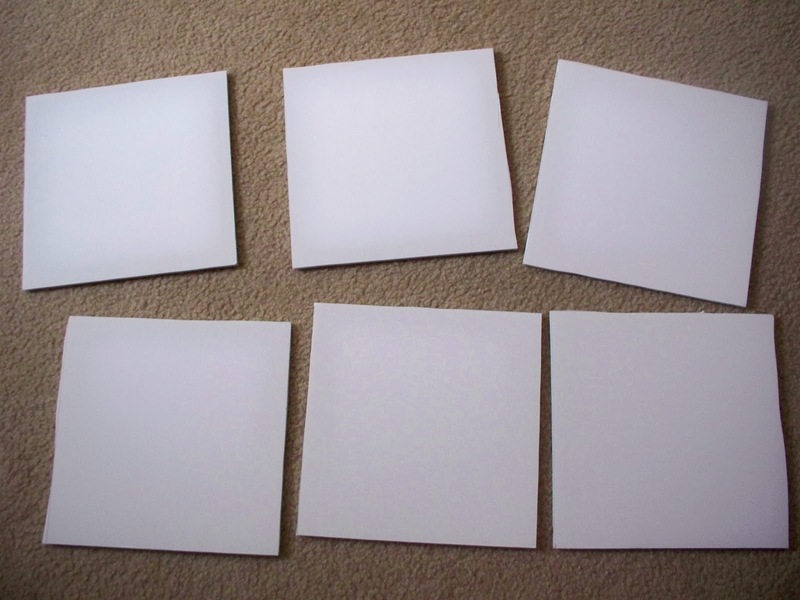 My price for my most recent purchase of foam board was $1.80 because I used a 40% coupon. This is a super simple project and your fabric will be so much easier to grab without making a huge mess of all the other fabric. Our local Dollar Tree carries foam board on a regular basis. Thanks for the tutorial! I'll have to check our local Dollar Tree - thank you for the tip!